Situated in a 7 hectares land north of Maguwoharjo Stadium, Jogja Bay Pirates Adventure Waterpark provides 19 fun water rides suitable for your family vacation. 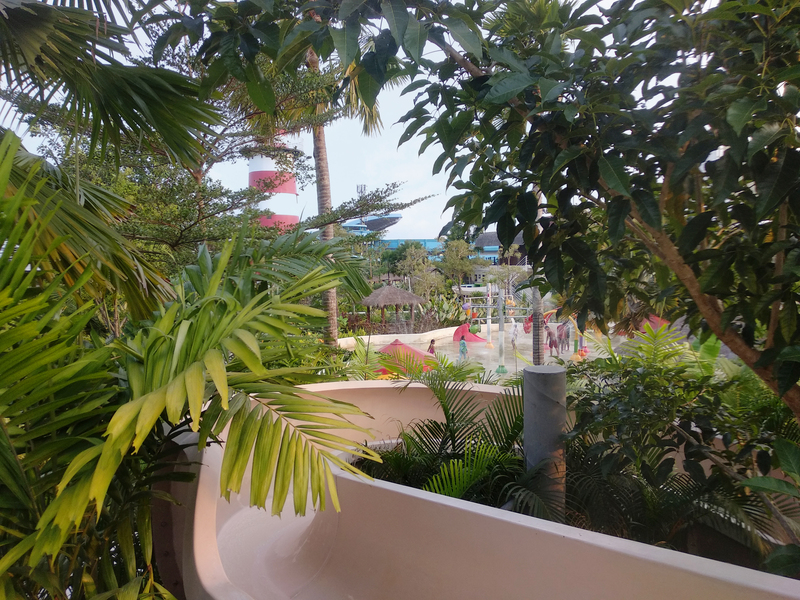 This was our second visit to the waterpark, after having been there the first time in early 2016 when Jogja Bay had just operated. At that time, not all of the rides were available and the park within the complex were still in an on-going process and there were only a few food stalls and restaurants available. On our recent visit in July 2018, we can see many progress and improvement. Parks are well-groomed and lush, trees have already grown, and all of the rides has fully operated, as well as varieties of food and beverages stalls has opened to serve visitors. 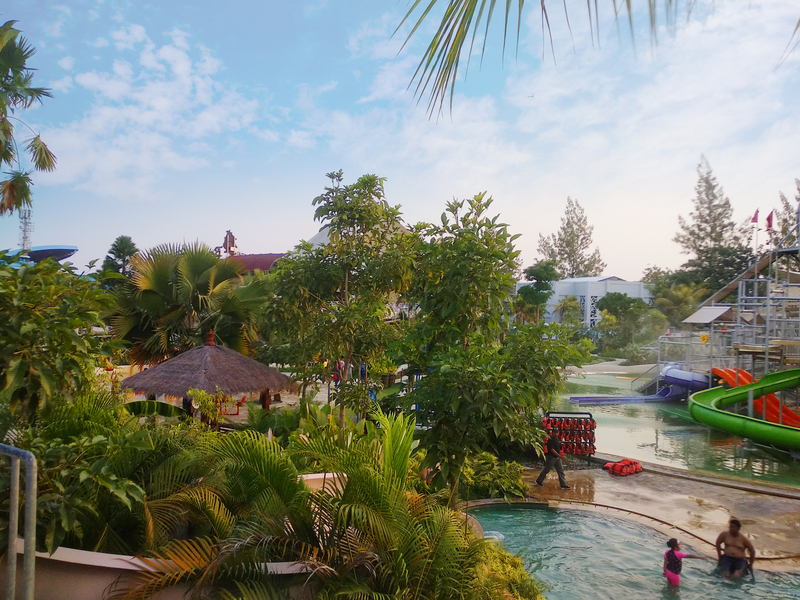 For a domestic tourist attraction, it is safe to say that Jogja Bay Pirates Adventure Waterpark is very well maintained. Currently, a new amusement spot called Museum Air (or Water Museum) is being built within the complex and will be open in the near future. When compared with other waterparks in Jogja, Jogja Bay put their customers’ safety as a priority. 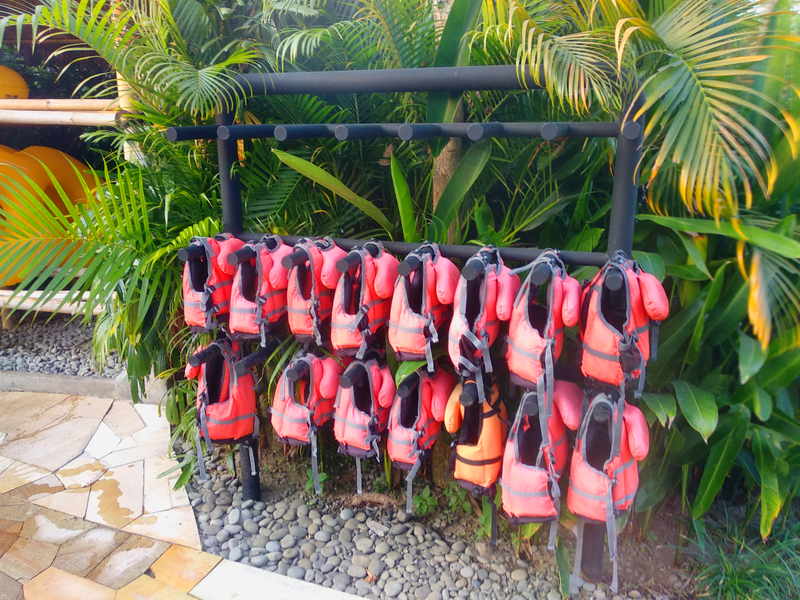 Free life jackets are available for children as well as active guards supervising every rides. For safety reasons, management has applied its minimum age limit for children which is above 2 year old with height limit above 110 cm. Lockers and towels rentals are also available upon request. Gift shop is available in the exit area, offering various Jogja Bay merchandises showcased in attractive displays. You will not miss this gift shop, as it is uniquely shaped as a pirate ship with great detailing, ready to lure in its customers. 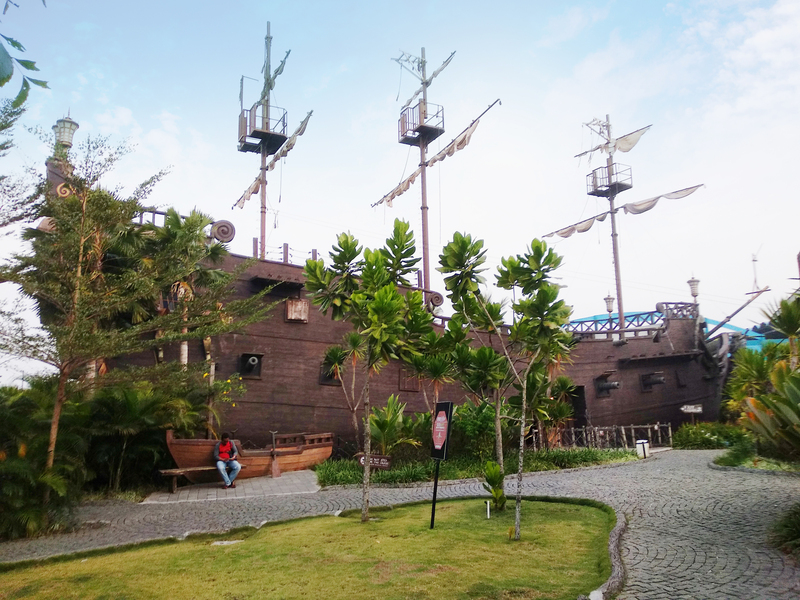 Entrance fees for Jogja Bay Pirates Adventure Waterpark on weekdays are IDR 90.000 for adult and IDR 60.000 for children. Weekend entrance fees are IDR 100.000 for adult and IDR 75.000 for children. Operational hours on weekdays are 9 AM – 5 PM, and 8 AM – 5 PM on weekends. From Kalaka Bed & Breakfast, Jogja Bay Pirates Adventure Waterpark is 8.5 km away and can be reached by car in approximately 15 minutes.